There is no reason for such narrowness of reach. If we think in terms of visualization rather than spatialization, we can break away from the rut in which we're caught. The trick is to search for other modes of human cognition that are nonspatial. Two in particular strike me as worthy of further development: emotional, as visualized through faces, and linguistic, as visualized through the written word. The use of linguistic structures seems a throwback to the bad old days of command-line interfaces, parsers, and all that nonsense. But if we approach language as not such a sequence of characters, but a grammar for combining words into meaningful expressions, we can see the value of Linguistic User Interfaces (LUIs). The trick is to use a subset of a natural language that is OBVIOUSLY a subset; if the user ever thinks that we are offering true natural language, then s/he will surely end up frustrated with our presentation. If instead we offer a kind of "baby talk" with the computer, we can greatly expand the working vocabulary of our users and offer large feature sets unhandicapped by clumsy user interfaces. 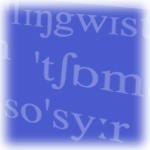 Remember a LUI is distinguished from natural language in that it is interactive. 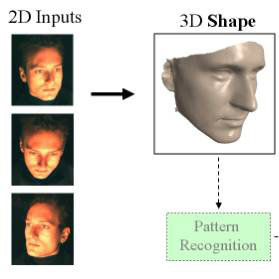 Interactivity makes it possible for the computer to interact directly with the user during the framing of his/her expression, thereby greatly simplifying the interaction. I have found two interesting sources http://fileshunt.com and http://filesfinds.com and would like to give the benefit of my experience to you. I like your information I was looking information like that but I find it today and I feel very happy. However Otlet now shows the Mundaneum not just as a physical structure, a museum, that contains representations of the accumulation of knowledge over time.